Home / Posts taggedThermal Transfer Printing Machine"
Many friends in the industry are struggling to choose a thermal transfer printing machine or a heat press machine for their own business. Today, we will briefly introduce the differences between the two to help you make the right choice. Today’s article is shared here. 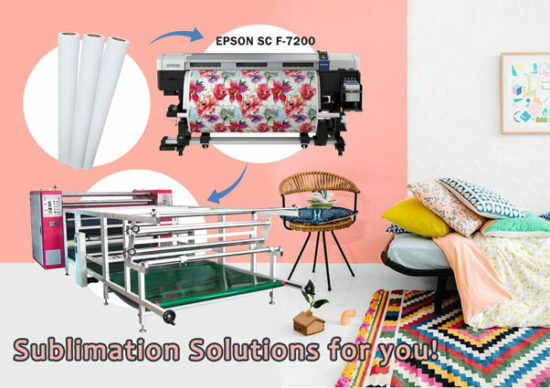 We FeiYue Digital Technology Co., Ltd mainly manages sublimation paper, inkjet printer, digital printing inks, calendering machines and accessories. If you are interested in our products, welcome to contact us at any time. We will provide you the best quality product and service. Thanks for your reading. What is the coating characteristic of the thermal transfer printing machine? In the international market, thermal transfer printing technology has always been one of the high-end technologies in the printing industry and occupies a very important position in the high-end printing market. With the annual growth of China’s GDP and the improvement of people’s income and living standards, people have more and more demands for personalized printing technology talents. Turning high-end technology into small investment projects will give our investors a new direction of investment — a personalized “gold mine” market with a potential market of 100 million yuan. Personalization. Has the unique decoration effect. Applicable to any material, compatibility and its wide range. Meet special needs. Digital cameras can take any photo and download any clear patterns can be produced to meet the different needs of consumers. The pattern is clear. The picture is fine, realistic, colorful, and the picture is soft and layered. Pictures can be big or small. As small as a printer can print any tiny graphics and text, as large as a printer can print any spliced pattern. Environmental protection and durability. The paint is heated and sublimated to permeate the interior of the wall, then solidified, so the pattern is durable and environmentally friendly. Widely used. The design can be made on any flat plate or flat plate bending products with high temperature resistance above 190 degrees. It is widely used in work and home decoration. Simple construction, not affected by the season. Regardless of spring, summer, autumn and winter, thermal transfer paint can be applied 365 days a year. Construction does not require professional technical personnel, that is, learning. Low cost. Traditionally, a painter painted a 2-meter by 5-meter mural, because of time and labor, high price, often tens of thousands, hundreds of thousands, resulting in consumer demand. Objectively, it limited the popularity of the murals industry. And heat transfer printing coating, as a result of simple, efficient, time – saving, labor, so low cost. So heat transfer process applied to a variety of product surfaces. We can design and produce heat transfer film according to customer’s requirement. 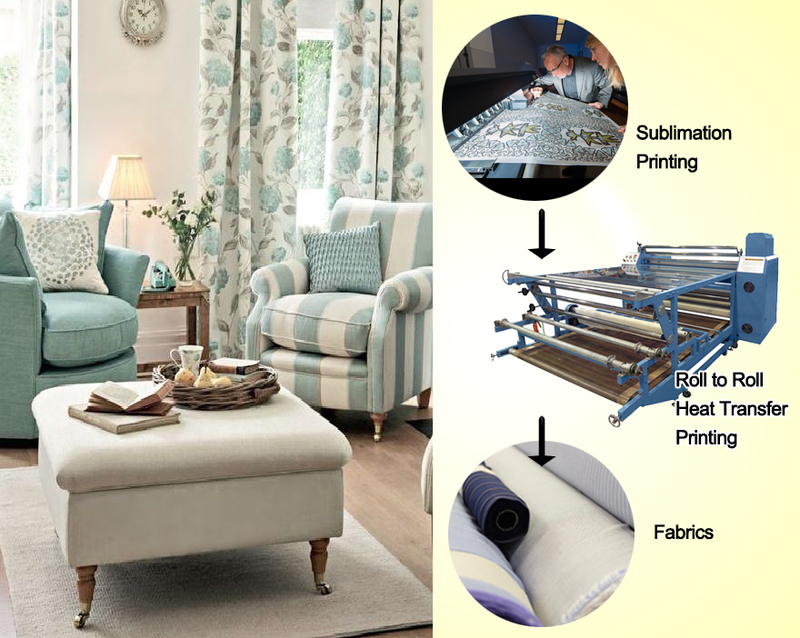 Heat transfer printing process is widely used in plastics, cosmetics, toys, electrical appliances, building materials, gifts, food packaging, stationery and other industries. In the future, the manufacturer of thermal transfer printing machine equipment will be a severe challenge, which will not only face the personalized choice of customers, but also the quality of market printing products. Printing machine maintenance, achieve steady improvement. For yoga mat manufacturers, it is necessary to purchase a high-quality thermal transfer printing machine. 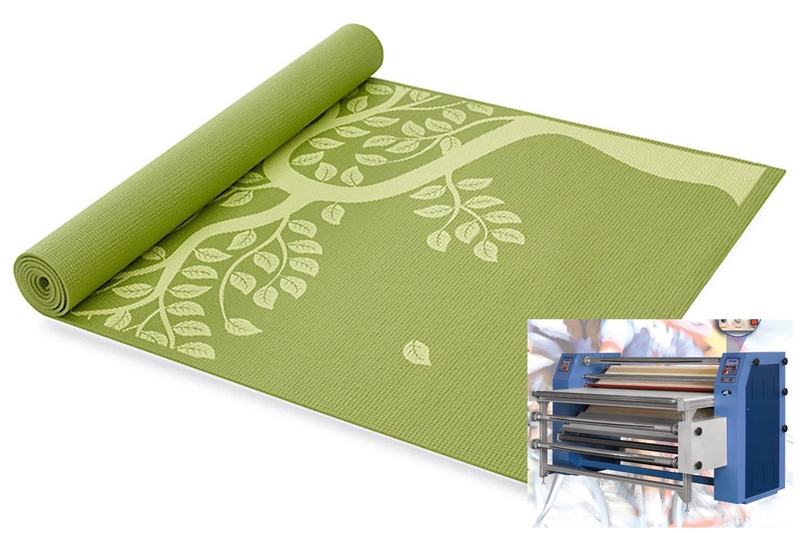 If you can use a thermal transfer printing machine to decorate the yoga mat more beautiful. Then it will certainly attract the attention of many consumers. 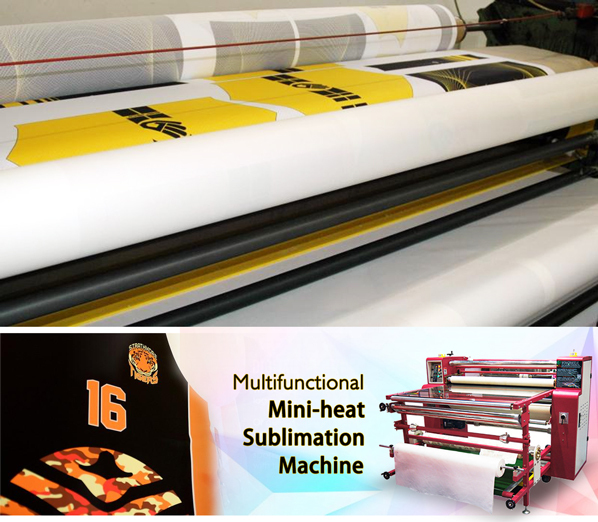 Feiyue printing machinery is far ahead of the industry in heat transfer technology. The performance of this thermal transfer printing machine is very outstanding and can meet the printing requirements of most yoga mat manufacturers. 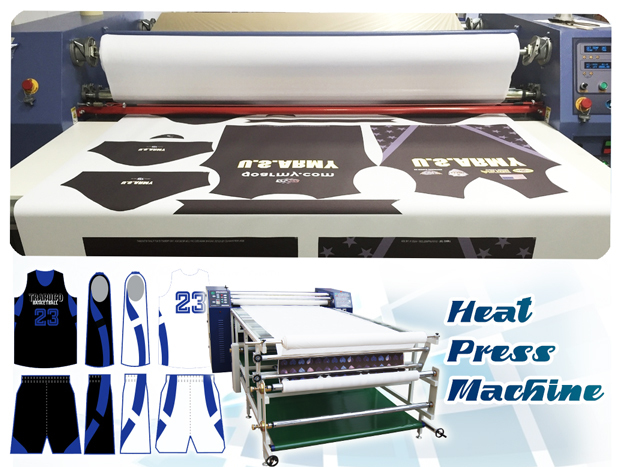 Firstly, with this heat transfer machine, the color patterns are all formed by primary transfer printing and do not require trapping, which effectively reduces the loss. Secondly, this heat transfer machine can transfer yoga and mouse rubber products to the entire surface. After the printing is completed, there will be no remnants of ink, and at the same time, it will be safe, non-toxic and environmentally friendly. Thirdly, for the workers on the assembly line, this machine has a simple process, few processes, high efficiency, and very convenient control. Fourth, the yoga mats processed by this machine are not only colorful, high precision, graphic clarity, strong sense of transition, but also can increase the added value of the tool, can be suitable for printing large quantities, demanding yoga, mouse pad product. What’s more surprising to users is that the design of the thermal transfer printing machine is quite complete. There are a whole pattern and a single pattern to choose from. The design of the patented pattern can also be specified according to the customer’s requirements. 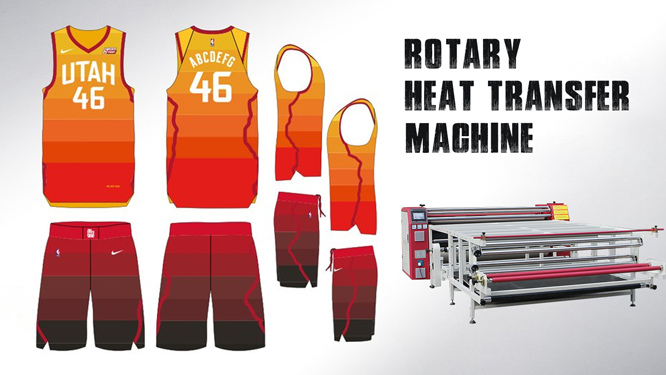 In addition to the introduction of thermal transfer printing equipment such as yoga heat transfer machines. Fei Yue Digital INC. also developed and produced fully automatic roller printing machines, hot stamping machines. And other products to meet the different needs of different users. The common characteristic of these products is their high performance-to-price ratio. Compared with similar products, the machinery produced by the supreme machinery is not only of reliable quality, but also very affordable in terms of price. 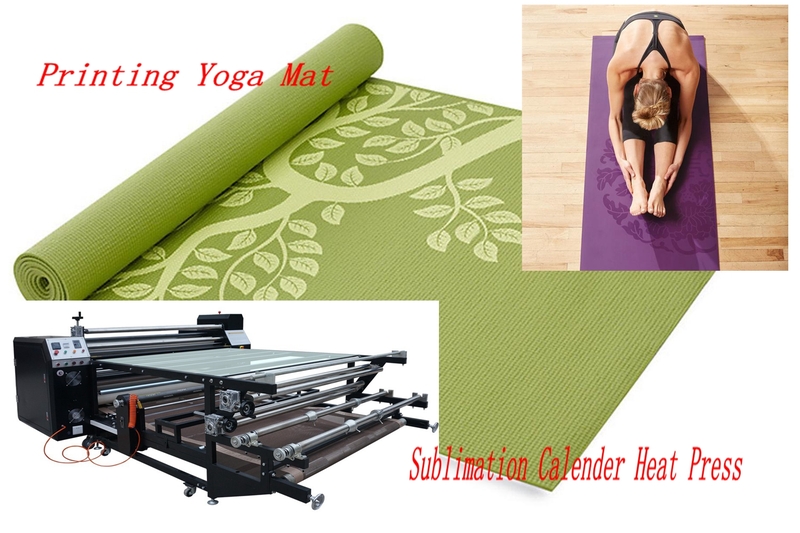 Okay, these all above are my share about the effect of Roller heat transfer machine printing yoga mat. If you have any other needs or questions welcome to contact us at any time. We will provide you the best quality product and service. Hope my article can be useful to you. Thank you for your reading.